On May 17th, LiveMD celebrates World Hypertension Day and helps to spread awareness about this disease and the millions of people around the world affected by it. Hypertension is another name for high blood pressure and it occurs when there is too much pressure in the blood vessels. This can be caused by many conditions such as being overweight, smoking, stress, high salt intake and a sedentary lifestyle. Often people who have high blood pressure do not have any symptoms at all which is why hypertension can be quite dangerous. 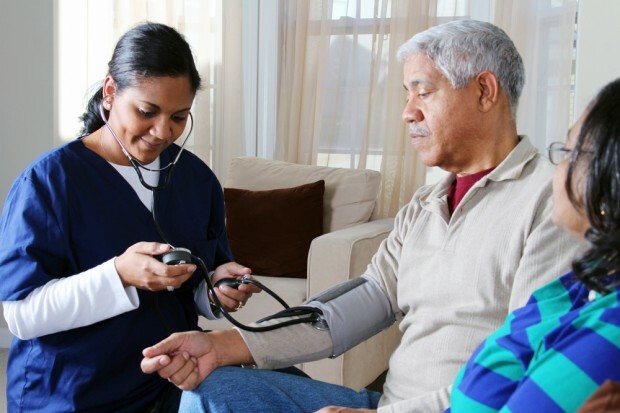 Blood pressure can continue to rise to dangerously high levels without a person knowing at all until they reach what is known as a Hypertensive Crisis. When this occurs medical treatment is required immediately and someone in this state may experience severe headaches, difficulty breathing or shortness of breath, anxiety and a bleeding nose. What Can You do to Prevent Hypertension? The best way to prevent Hypertension is to lead a healthy lifestyle. Managing your weight and eating a healthy, balanced diet are both very important in keeping your blood pressure low. Quitting smoking and reducing your alcohol intake will help to increase your overall health. Managing stress is also vital in preventing hypertension. Hypertension can be very dangerous if not monitored and managed. High blood pressure can lead to damaged arteries, heart attacks, stroke, erectile dysfunction, kidney damage and even death. This year, on May 17th, help to spread awareness about hypertension. To find out how to get involved visit the World Hypertension Day website http://ish-world.com/events/e/World-Hypertension-Day-2016/. 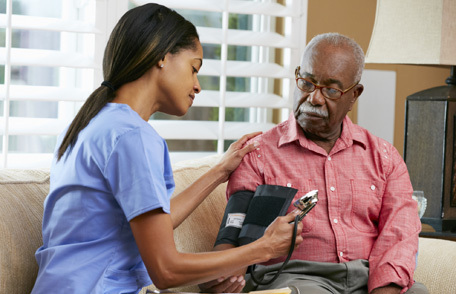 If you have questions about your blood pressure and your health, our doctors are ready to assist you. Visit www.mylivemd.com today to find out how our doctors and specialists can help you lead the healthiest life possible. Heartburn, also known as acid reflux is a condition that occurs when the acids that are normally found in the stomach, start to push back up into the esophagus, causing an uncomfortable burning sensation in the upper abdomen and chest areas. Despite its name, heartburn has nothing to do with the heart but some of its more common symptoms can be similar to those of heart disease or a heart attack. What can I do to minimize these Symptoms? Quick relief of heartburn can usually be achieved by taking an over-the-counter antacid or heartburn product. These can be found at your local pharmacy. There are also prescription medications available that can be prescribed by your doctor that will either help to neutralize the acid in the stomach or slow down the amount of acid produced by the body. Fatty foods or foods that are very spicy can also trigger acid reflux and should be avoided as much as possible. Heartburn can also be minimized by eating at least 3 hours before going to bed or lying down. Baking Soda – mix a teaspoon or so or baking soda in a glass of water and drink it slowly. The baking soda can help to neutralize the stomach acid and alleviate your symptoms. Chew Gum – The process of chewing gum produces more saliva. This increase in saliva can help to wash away the acid. If you are experiencing any pain in your chest and you are not sure if it is heartburn or a heart attack be sure to contact a doctor for a diagnosis immediately. 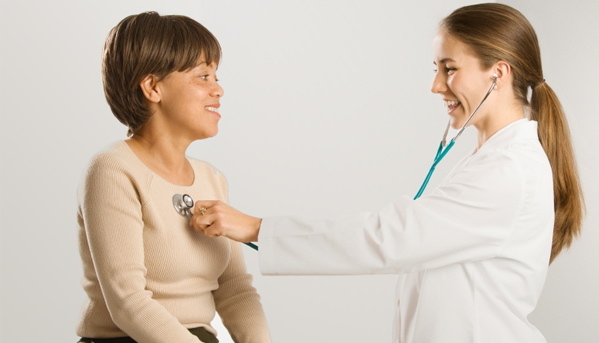 They will be able to assess your symptoms and provide you with the best treatment. Often, some simple diet and lifestyle changes are all that is required to reduce the frequency or severity of future heartburn attacks. If you have any questions about heartburn or believe that you may be suffering from acid reflux, LiveMD has a team of doctors available to help you on-line right now. Visit our website at www.mylivemd.com to get the medical advise and treatment you need right away. Step 1 – Get Motivated! Why do you want to lose weight? We all have different reasons for wanting to be in better shape and determining exactly what is motivating us to take the first step in weight loss is one of the most important things that we can do. By knowing “why”, we will be more motivated to follow through with our healthier choices. Do we want to lose weight to look better? To fit into a piece of clothing? To be able to play with our children or grandchildren? Or is it because we want to increase our longevity and have a better quality of life? All of these are valid reasons and will help to give us the push that we need to reach our goals. Write down the reason why you want to lose weight on a piece of paper and post it somewhere where it will be seen often. Your bathroom mirror, fridge, or the dashboard of your car are great places to keep this piece of motivation. Every time that you see it, it will act as a reminder as to what your goals are and the reasons behind your healthier choices. Step 2 – Move More! Being active is a very important part of getting healthy and losing weight. The type of activity that we do is not as important as just including some type of activity into our lives every day. Chose something that you love to do and do it often! Dance around the house to your favorite songs while cleaning, go for a brisk, 10 minute walk after dinner, walk or ride your bike to the store instead of driving, swim, play sports, play tag with your children, just get up and move! In the beginning it may be difficult to increase your activity level but keep at it and bit by bit you will begin to see noticeable differences in both the way you look and feel. In this day and age it is far too easy to reach for processed, packaged foods. These are the foods that are fast and convenient but are lacking in the important nutrients that our bodies need to stay healthy. These foods are filled with sodium, unhealthy fats, carbohydrates and chemicals. Plan your meals and snacks ahead of time and include foods like fruits, vegetables, nuts, seeds and lean meats like poultry and fish. Choose cooking methods that use less oil, like baking instead of frying and grab an apple or an orange first before reaching for chips or a candy bar when you need a snack. By replacing some of the processed foods in our diets we will begin to lose weight, have more energy and feel healthier. Many people get pulled into the idea that a magic pill or a fad diet is going to be the quick and easy way to get into shape and lose the extra weight. Unfortunately, these gimmicks are usually an expensive waste of money. There is no magic cure for weight loss. It takes motivation, dedication and the long-term lifestyle changes of being active and eating healthy, real foods. A commercial may promise you fast, amazing results but without making proper changes that you can stick to for years to come, any weight that is lost will probably come right back, just as quickly as it left. Losing weight and increasing your activity levels is one of the best things that you can do for your health. Not only will you weigh less but you will notice changes in your sleeping habits, your heart and lungs will be healthier, there will be less strain on your joints and you will decrease your risk of contracting some of the major metabolic diseases that have become all too common across the globe. LiveMD is here to help you reach your goals. Meeting with one of our doctors is an excellent idea. We can help you determine a fitness plan that is safe and right for you and provide personalized nutritional advice. Visit www.mylivemd.com today to speak with one of our doctors by phone video, or text and take the first step to a healthier life. A heart attack occurs when there is a blockage in one of the arteries leading to the heart. The blood carries oxygen to the heart and when this supply of oxygen is decreased or cut off all together, parts of the heart can become damaged, causing a heart attack. The symptoms and severity of a heart attack can differ from person to person. If you feel unwell or experience any of these symptoms, it is important to get prompt medical attention. 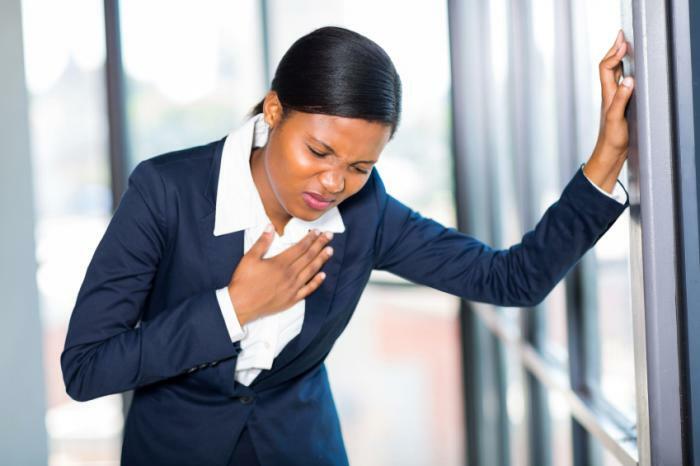 Sometimes heart attacks are unpreventable and may happen due to a genetic predisposition. There are many ways, however to help decrease your risk factors and keep your heart strong and healthy for many years to come. A healthy diet that is low in saturated fats and high in fiber will help you to maintain healthy weight and cholesterol levels. This is one of the most important things that you can do to ensure good heart health and good overall health as well. By consuming a balanced diet that is rich in nutrients, low in processed foods and saturated fats you are providing your body with the fuel that it requires to function properly for a long time. Moderate exercise is important. It helps to reduce your weight, keeps your blood pressure down, improves circulation and helps to strengthen the heart muscle. Cardiovascular or aerobic exercise is the best exercise for heart health and it is important that you chose an activity that you enjoy. Walking at a brisk pace, jogging, swimming, riding a bicycle or dancing are all great options that will improve the health of your heart. It is recommended that everyone gets 150 minutes of exercise a week for best results. It is important to check with a doctor before beginning any workout program to ensure that it is right for you and if at any point during an activity you experience pain or discomfort, stop immediately and seek medical attention. Smoking increases your heart rate and your blood pressure. It affects your lungs and the amount of oxygen in your blood. It also increases your risk of developing plaque in your veins and arteries and developing blood clots. Its old news that smoking is bad for you, so take the steps and try to quit. Talk to a doctor today about the options available to help you. When we are under constant stress it can take its toll on our bodies and on our heart. By finding ways to reduce stress, we can lower our heart rate and our blood pressure and increase the health of our heart. Taking time out every day to practice relaxation techniques can have a profound effect on our bodies. Simple activities like meditation, yoga, breathing exercises, tai chi, or even sitting down, clearing our minds and enjoying a cup of tea or a good book will help to calm you and will lead to better health and a more positive outlook on life. If you would like to speak with a cardiologist or doctor by phone, video or text about your heart health or the risk factors for heart disease visit www.mylivemd.com. We pride ourselves on being able to provide you with the professional advice that you need to stay healthy.